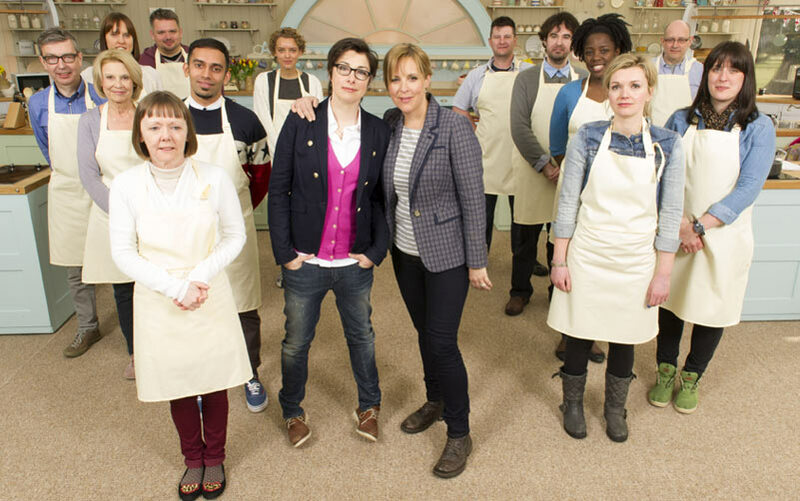 What happens behind the scenes of PBS’ addictive and delicious The Great British Baking Show? Here are spoiler-free answers to your questions. 13 questions answered about what may be everyone’s favorite culinary competition show these days. When contestants find out what they’re baking, where they stay during shooting, and unfortunately not much gossipy because they try so hard to take all the gossipy stuff out of this show. Thanks for that informative link! I hope the first 4 seasons will be made available for American viewers. Have you seen the follow-up series, “An Extra Slice”? A few of those are accessible in America on Youtube. Quite entertaining. Does anyone know why the contestants don’t temp their bakes? I’ve seen them use thermopens when making custards and melting sugar, so I know they have them. There are all these anguished shots of them wondering whether a cake needs a few more minutes but in all the episodes I’ve seen, I’ve never seen anyone stick a thermopen in a bake. Is it prohibited? Have they just not thought of it? Have they just not thought of it? My partner is the baker and I’ve never seen her use the thermapen. That said, I’ve never seen her use it on anything. It’s probably because we Britons usually cook everything by time rather than to temperature. I’m influenced by spending time on American led food boards so use the thermapen from time to time - say, with roasts and that sort of thing.